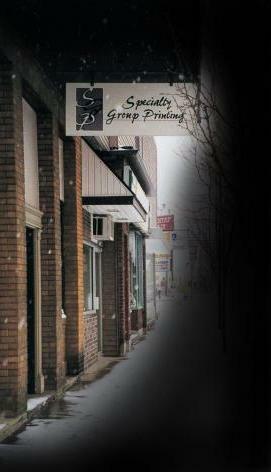 Specialty Group Printing is a full service, family owned and operated, commercial printing company located in Cochranton, Pennsylvania. From short run digital printing jobs to your larger run offset printing jobs we strive to deliver quality products created to the customer's specifications, on time and affordable! No order is too big or too small. We can print any custom job you might need, some of our most common products are: Brochures, Envelopes, Letterhead, Postcards, Flyers, Business Cards, Posters, Catalogs, Booklets, Notepads, NCR Duplicate Forms, Doorhangers, Menus and Stickers. Feel Free to stop by, call or contact us via email.